Since 2015, the Gulf nation of Yemen has been engulfed in a war between the Iranian-backed Houthi rebels, the now-deposed Yemeni government that was backed by the Kingdom of Saudi Arabia (KSA) and the United Arab Emirates (UAE), both of which are the new standard-bearers for the campaign. Mixed up in this conflict are the Saudi's western benefactors, most notably the United States, which has supplied the anti-Houthi coalition with material support to combat the militants and to target the rising al Qaeda in the Arabian Peninsula (AQAP). This war has not been easy on the people of Yemen as their cities lay devastated by the indiscriminate bombings the Coalition has carried out in their effort to restore the old regime to power. With mounting civilian casualties and no real end in sight, the United States must end its military support to the Saudis as they have proven to be unreliable partners in the War on Terror. Yemen is no stranger to the horrors of war. For much of the Cold War, modern day Yemen was divided between the North (supported by the US and KSA) and South (aided by the USSR and its allies) that fought several wars for unification which suffered many setbacks. The North was ultimately successful in taking control of the country in 1994 under Ali Abdullah Saleh. Even after Yemen was ‘unified’, the country soon became a haven for terrorist groups like al-Qaeda as the terrorist group planned and launched a successful suicide attack on the USS Cole in the Port of Aden in 2000. Like much of the Arab World, Yemen was thrown into the chaos with the onset of the Arab Spring. Protests spread across the country which demanded Saleh abdicate his office after refused the Gulf Co-operation Council deal. Eventually, the embattled President was forced to resign and he handed over power to his deputy, Adbrabbuh Mansour Hadi, but the Arab Spring would not relent as the country faced the rise of the Houthi militants and a resurgent al Qaeda that sought to exploit the turmoil. Support for the war in Congress has generally been historically negative. A bipartisan vote of a bill that sailed through the House passed 54-46 in the Senate, rebuking the Administration's continued support for the military engagement; however, the bill did not gain the two-thirds majority it will likely need to survive a veto once the bill gets through the House and reaches the White House. Even though the Senate still disapproves of US engagement, this recent vote was actually tighter than a similar vote that happened at the end of November which resulted in a vote of 63 in favor of a resolution pushing for the United States to remove support for the Saudi-led coalition in Yemen. The US-Saudi alliance has come under intense scrutiny in the wake of Crown Prince Salman’s rise to power and the Jamal Khashoggi assassination at the Saudi consulate in Turkey last year. The Crown Prince has committed many other questionable actions, including holding the Lebanese Prime Minister captive in the country to supposedly counter Hezbollah -- a terrorist group supported by Iran that dominates Southern Lebanon. Secretary of State Pompeo argues differently. He states that the culprits behind the destruction of Yemen are the Houthi militants and that the only way to support the Yemeni people is “by giving the Saudi-led coalition the support needed to defeat Iranian-backed rebels and ensure a just peace.” While Pompeo may claim the Saudi’s are the good guys in this fight, they most certainly are not. According to Republican Senator Todd Young, the Yemen Civil War has left “nearly 16 million people on the verge of starvation.” To make matters worse, bombs made in the United States and the United Kingdom has resulted in an estimated 1,000 civilian deaths or injuries -- women and children counted among the victims of these strikes. Just in a one year period between March 2015 and April 2016, the coalition carried out 18,000 airstrikes on Yemen, 33 percent of which targeted civilians. At this point, it is hard to imagine why any Yemeni who survives the civil war would want the support of the United States and other Western powers. If the goal of our engagement in the civil war is to turn more people to support the Houthis or al Qaeda, then mission accomplished. 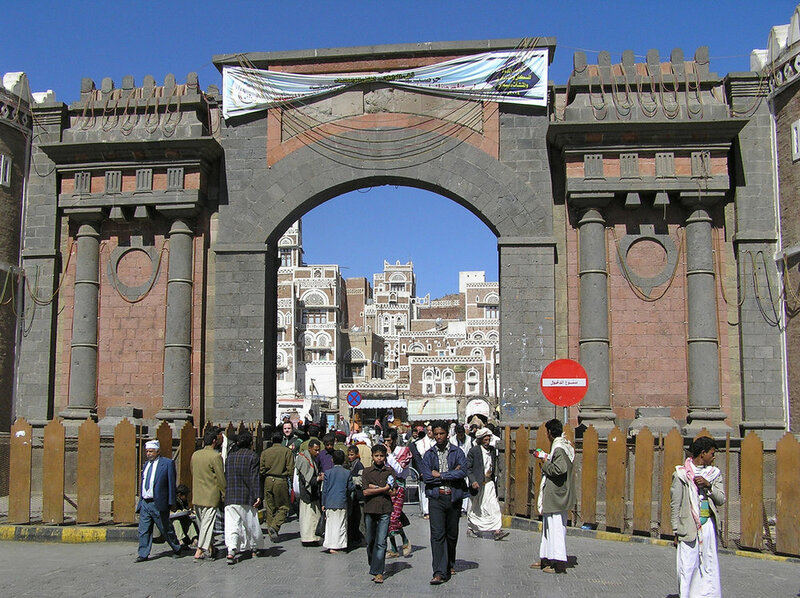 The people of Yemen, like much of the Arab population in the Middle East, have suffered greatly in the last century. There is no denying that the Saudi regime’s campaign is merely causing the further destruction of an already broken land. The international community, especially the United States, should seek a permanent end to the civil war that keeps foreign militaries out while bringing in much need international aid to rebuild society. In Congress, the Republicans must work with the Democrats to bring war powers back under their purview. No President should have the ability to engage our armed forces in support of despotic regimes that wage wars that kill hundreds of thousands. If President Trump is serious about ending US involvement in wasteful wars which do not advance our own interests, then he should end this one.